I've been recently entering into the world of paid wedding photography (have been doing professional photography in other arenas for a number of years). Coming up I have a bit of a challenge that I hope the knowledgable folk here can help me with. I'm based in the UK and have been hired by friends in Canada to shoot their wedding. The wedding itself is outdoors and presents no unusual challenges (bor do prep or portraits) but the reception venue is a bit of a challenge. Essentially it's a barn set-up. The speeches will be in this room probably in front of the stone fireplace. There is a mezzanine above them I could position a speedlight to bounce into the white ceiling, but I'm not convinced the angle would work. Otherwise, I don't think my sb700s will be powerful enough to return anything meaningful from on camera bounce. For a domestic wedding I would obviously visit the venue first and test what would work, but in this case I can't. I am also very conscious of airlines/security getting stricter with carry-on so I want to pack as light as possible. What is the feasibility of bounce flash either on or off camera? If bounce flash is out, what suggestions do people have for lighting? Sorry if this is a bit long, I've tried as best I can to give as much info as possible to clarify. I think you have plenty of gear for that location. The location looks delightful and I see no immediate red flags I can see from the pictures. Just watch the bounce colors falling back from the wood. (could be a little red). I would use higher ISO's and wider apertures indoors to grab more of the natural light and avoid hot spots in the wood from any stray flashes. The flashes will be more than powerful for the use. Use manual mode though:) I bet you will not need more than 1/2 the power. Please let me know if I am right. LOL Hopefully I got this to you in time. Not sure when the wedding is? 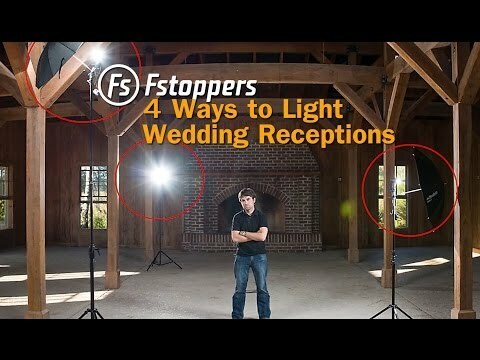 If the venue is all wood, you will have to use at least two off-camera flashes higher up with your on-camera flash ... which will most likely be a direct flash. Bouncing off wood surfaces won't be practical for a larger area like the barn. The WB issues will be a pain to deal with, and your flash won't be powerful enough .... so, direct flash from your camera (maybe with a small softbox), and two or more off-camera flashes to help light the background and prevent a "black hole" background. That sounds reassuring! The wedding is in the middle of next month, so plenty of time yet. I will report back after and let you know if your hunch is right! Neil - I fear you may well be right in the barn. I can get the off-camera flashes up onto the mezzanine, so there is a small chance that the inverse square rule can then help just add a bit to the ambient. I don't mind running the ISO a bit high if needs must. BTW I was looking at getting your off-camera and direction & quality of light books, but they seem to have been out of stock on Amazon UK for a long time. Are there any plans for another UK batch? You may want to check this out. Thanks, I had a look at that before but thanks for posting it. My main issue is not so much how you might light the space in general, but how I could do it with a restricted gear list. I can't fit multiple light stands into my luggage for example, nor large modifiers (I can fit 32in umbrellas). I think I'd be struggling to fit 4+ speedlights (even if I owned enough) in my carry-on along with all the other gear needed anyway. I may have to live with some on-camera direct given the limitations, if bouncing proves impractical in the large space. I think there's going to be a lot of riding high ISO and wide apertures to minimise the contribution of the on-camera. I would be interested if anyone has had any success with on-camera softboxes?